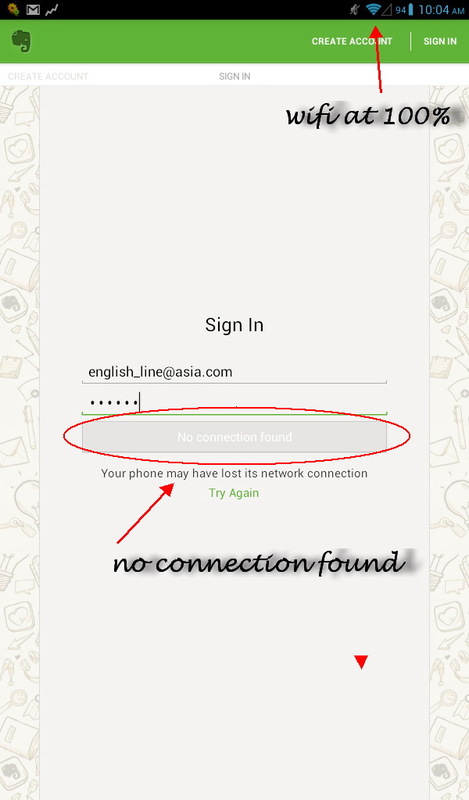 The last 2 days am having problem logging in Evernote for Android. I have a wifi connection but Evernote App shows "No Connection Found". All other apps in my Tab can use the internet. Uninstalled and installed app already. a very long time without any problems till 2 days ago. I have the same "sign in" problem with Samsung Galaxy S3.